Publisher: Antonium Gryphium, Lyon, 1540. 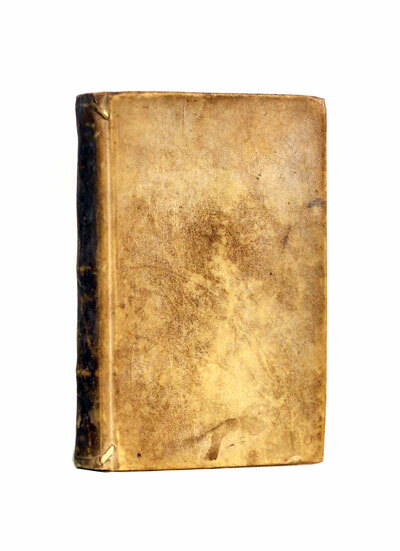 Condition: Hardcover, vellum. 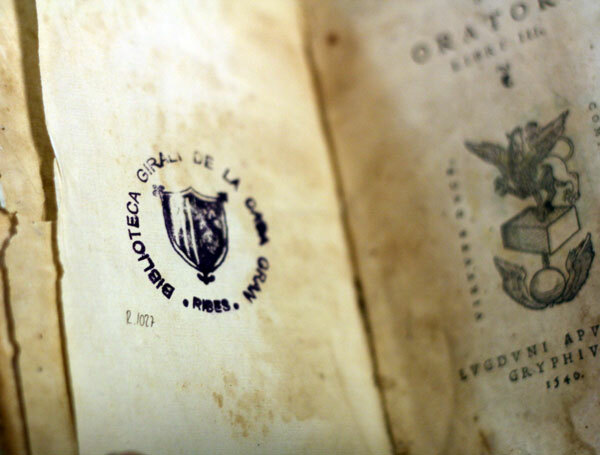 Spine darkened, ex-Biblioteca stamp on 3 places. Title page is brittle with some losses to edges, not affecting text. Worm-holes and minor discolouration throughout. Firmly bound, in amazingly good condition for its age. A splendid copy overall. All text is in the original Latin. 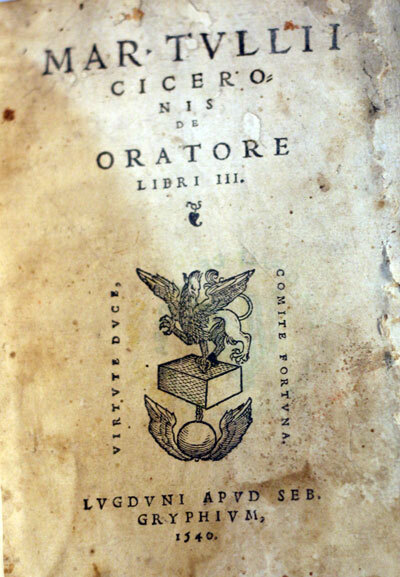 De Oratore (On the Orator) is a dialogue written by Cicero in 55 BCE. It is set in 91 BCE, when Lucius Licinius Crassus dies, just before the Social War and the civil war between Marius and Sulla, during which Marcus Antonius Orator, the other great orator of this dialogue, dies. During this year, the author faces a difficult political situation: after his return from exile in Dyrrachium (modern Albania), his house was destroyed by the gangs of Clodius in a time when violence was common. This was intertwined with the street politics of Rome. Amidst the moral and political decadence of the state, Cicero wrote De Oratore to describe the ideal orator and imagine him as a moral guide of the state. He did not intend De Oratore as merely a treatise on rhetoric, but went beyond mere technique to make several references to philosophical principles. Cicero understood that the power of persuasion—the ability to verbally manipulate opinion in crucial political decisions—was a key issue. The power of words in the hands of a man without scruples or principles would endanger the whole community. As a consequence, moral principles can be taken either by the examples of noble men of the past or by the great Greek philosophers, who provided ethical ways to be followed in their teaching and their works. The perfect orator shall be not merely a skilled speaker without moral principles, but both an expert of rhetorical technique and a man of wide knowledge in law, history, and ethical principles. De Oratore is an exposition of issues, techniques, and divisions in rhetoric; it is also a parade of examples for several of them and it makes continuous references to philosophical concepts to be merged for a perfect result.